The Wisconsin Center for Investigative Journalism was chosen by Report for America (RFA) to host one of 50 journalists. Criminal justice issues in Wisconsin will be investigated by the Center's corps member. Report for America is a national service program that works to bring new reporters into more professional work environments. The organization is funded by many sources including Facebook, the Google News Initiative, the Knight Foundation, Select Equity Group Foundation, and more. They hope to fund nearly 1,000 reporters by 2023. 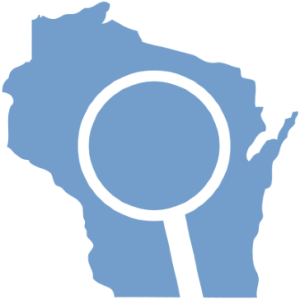 Steven Waldman, co-founder and president of Report for America, said: “We’re so proud to be partnering with the Wisconsin Center for Investigative Journalism, especially on such an important project.” He says that the process of choosing the organization was very competitive. However, the judges were very impressed with the past work of the Center as well as their plans for the future. Corps members will join nonprofit organizations, weeklies, public radio stations and daily newspapers, to shed light on wrongful convictions and general misconduct. The RFA will be hiring a reporter with general audio skills, experience producing podcasts and experience reporting criminal justice issues to be placed at the Center or a different RFA news organization. Applications for this job are due by February 8, 2019. The Wisconsin Center for Investigative Journalism hopes that adding an RFA corps member will bring in new reporters. Currently, due to having only four full-time permanent employees, the Center relies heavily on the University of Wisconsin-Madison journalism students, paid interns, collaborations with Wisconsin Public Radio, and more news organizations for its reporting.